Saturday nights might be for Strictly on the tele but Fridays are Boogie nights here at The Hub. LJ Dance Troupe hold their classes every Friday from 6pm – 9pm and are having there annual Halloween dance class tonight. We were lucky enough to have the girls perform at our Open Day and we are looking forward to seeing them dance at the Chrstmas Lights turn on at The HUB. The Dance School offer classes to kids nursery age right up until high school. 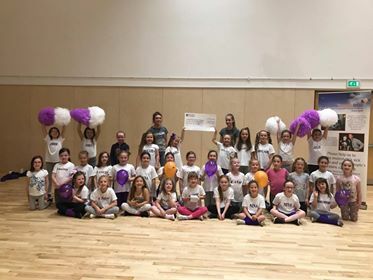 The classes are taught by locals Teachers Lynn, Sophie and Jean who provide fun, friendly, energetic disco dancing focusing on routines to current pop tunes and also children's music. 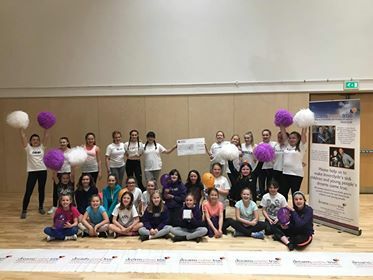 The dance group perform their annual show in Inverclyde Academy in June and perform at different local community events such as Christmas light switch on, school fete and gala day. 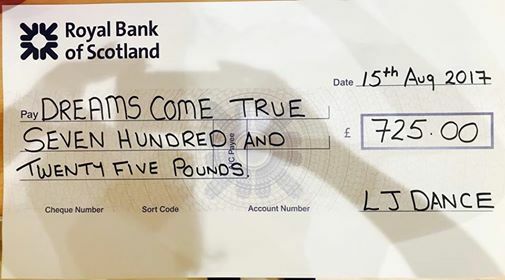 The group are community conscious and recently raised £725 for Dreams Come True Inverclyde to help more local dreams come true. You can get in touch with girls through their Facebook page. Thanks to Lynn Anderson and also George Munro (Greenock Telegraph) for letting us use their photographs. Older Post1 Year Anniversary Celebrations!! !